We are proud of our high customer satisfaction levels as well as our endorsement by Which? They are the trusted and independent source of consumer information and reviews. We were honoured to be awarded the Which? Trusted Trader of the Year award for 2017 and will continue doing our best to be a name people can trust. 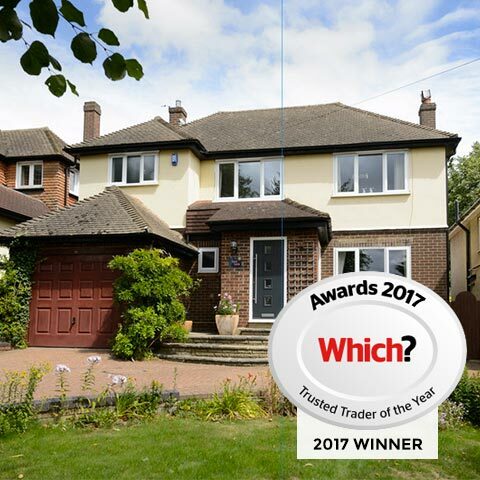 We also won the Trusted Trader of the month award in April 2016, March 2018 and April 2019 and always put customer satisfaction and honest advice at the heart of what we do. Only the highest rated companies get endorsed by Which? so you can rest assured that Homeglaze is the name you can trust for all your glazing needs.